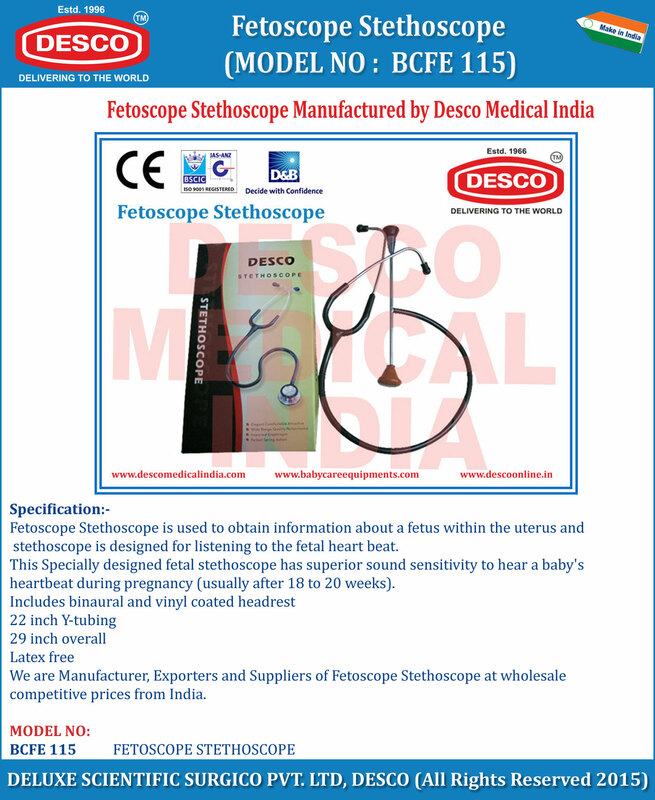 Fetoscope Stethoscope is used to obtain information about a fetus within the uterus and stethoscope is designed for listening to the fetal heart beat. This Specially designed fetal stethoscope has superior sound sensitivity to hear a baby's heartbeat during pregnancy (usually after 18 to 20 weeks). We are Manufacturer, Exporters and Suppliers of Fetoscope Stethoscope at wholesale competitive prices from India.